The Special Education Plan is a component of Comprehensive Planning as required by the Pennsylvania Department of Education.The Plan is also required by the US Department of Education, Office of Special Education Programs, to assure that we are in compliance with IDEA.The Plan provides the outline of how the District will meet all the requirements of IDEA for three years.It includes assurances that certain policies and procedures are in place and defines the programs and services operated by the District and other agencies. The proposed plan will be for the duration of 2018-2021. 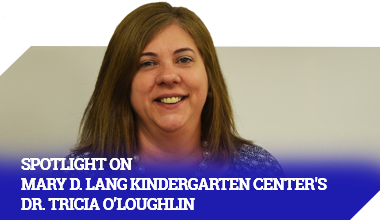 If you have questions or comments, please contact Yvette Line-Koller, Director of Special Education, yline-koller@kcsd.org or 610-444-6609.